One of the greatest qualities of EGIDE helmets is their resistance. Naturally, their longevity also depends upon how they are cared for. Here is a guide on how to maintain and use the helmets in order to ensure their longevity. The EGIDE helmet comes with its own protective bag and storage box. In order to avoid any scratches, damage or abrasion to parts of the helmet, we recommend that you transport it in its protective bag. When the helmet is not in use, we recommend that it be kept in its storage box, away from any sunlight. The helmet must never be left exposed to a source of light and/or heat for any long periods of time (e.g. in the back windscreen of a car which is parked in the sun) and must not be exposed to temperatures of under -20°C or over +50°C. 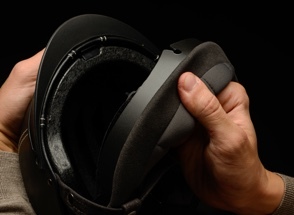 Check the internal and external condition of the helmet and chinstrap before and after each use. Avoid any contact with corrosive or aggressive substances. The use of solvents may alter the features of the helmet and compromise its quality. 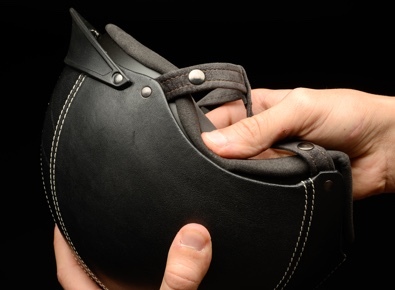 The helmet’s lifespan will depend upon it being carefully maintained and used. 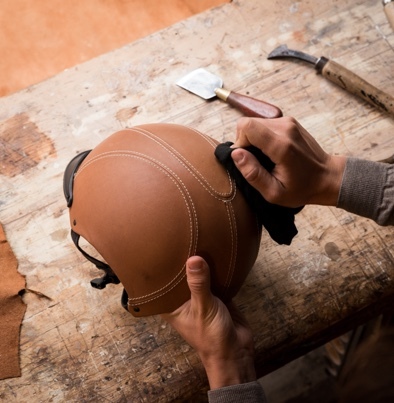 EGIDE Atlas helmets are covered with real leather. The leather used is full-grain French leather. Leather is a natural fabric which may evolve and acquire a patina over time. 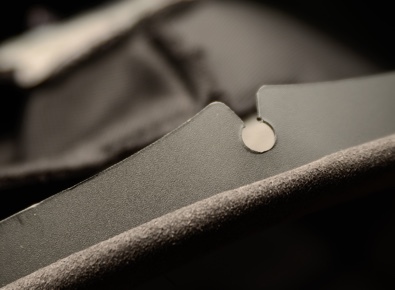 It may also contain some different surface finishes (shades of colour, vein lines or scars,…), which distinguishes it from other leathers which have been over-treated or imitation leather. that you use cleaning products which are suitable for natural leather and no solvents. 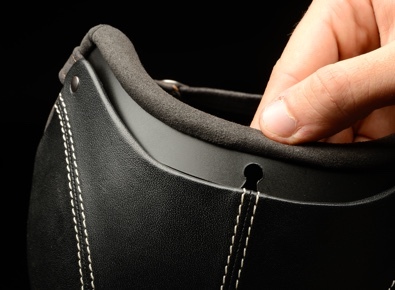 The EGIDE helmet contains an inner lining. We recommend that you wash it by hand with mild soap or in the washing machine on a cold cycle. Locate the 4 helmet clips. Locate the 4 notches positioned on the edge of the inner lining. 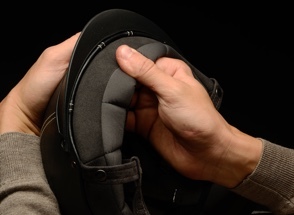 Position the inner lining in the helmet, so that the notches are placed opposite the clips. Press the inner lining down so that it covers the whole of the helmet.